His eminence with the delegation discussed the latest developments in the political situation and the upcoming entitlements. His eminence expressed his satisfaction with the developments witnessed by the Patriotic Union of Kurdistan and steps taken to close ranks, highlighted the historical relationship between Kurds and the remaining Iraqi components and the need to strengthen and preserve these relations. 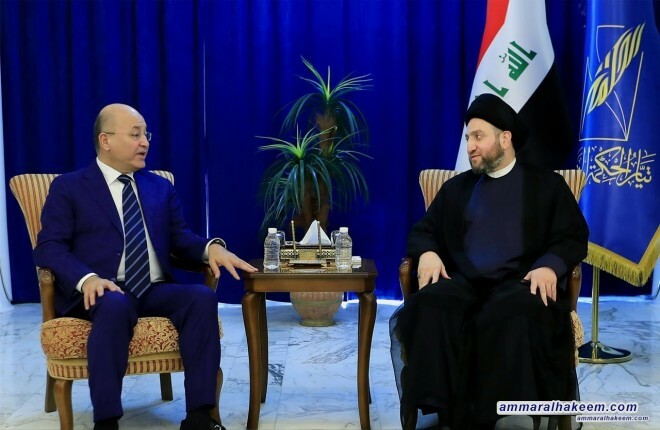 Regarding the presidency of Iraq, his eminence stressed the importance of this post as a front of Iraq and the keeper of all Iraqis interests, stressed the need that the President of Iraq work on the unity of the country, the protection and implementation of the Constitution and being a strong representative of his electoral space.